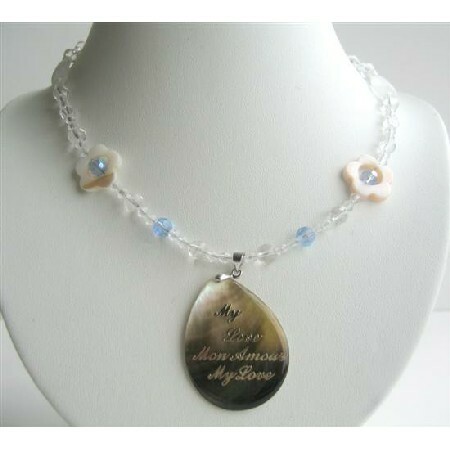 Romantic Shell Pendant Oval Shaped with love message in English & French My Love Mon Amour on Heart Pendant beautiful necklace to gift your love one to express your love or gift yourself which Add chic elegance & stand out from the crowd. Pendant is beautiful celebrate your individuality. Variations in the color & pattern lends a surreal beauty to the necklace.